Tiny is the new small! About the size of a raspberry, Invisible-in-the-Canal (IIC) hearing aids are the instruments of choice for those who desire hearing help that can't be seen. Completely invisible. For mild to moderately severe hearing loss. Custom-made for you. Virtually invisible. For mild to moderately severe hearing loss. Custom-made for you. 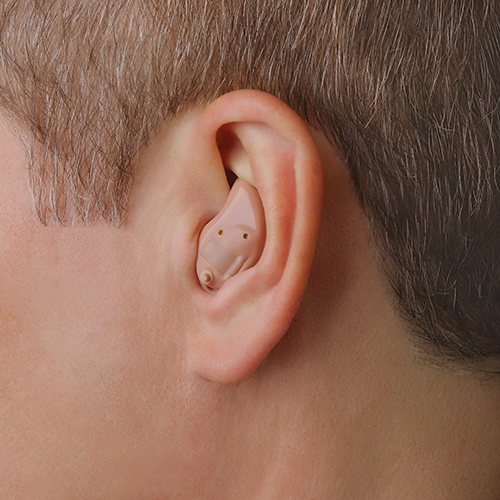 Another “tiny” offering, the CIC hearing aid style is worn completely within the ear canal. Only the tiny removal handle of the hearing aid shows outside of the ear canal. encased within a lightweight plastic shell. Their medium size makes them a great choice for push button controls. Virtually undetectable. For mild to moderately severe hearing loss. Custom-made for you. For mild to severe hearing loss. Easy to adjust. Custom-made for you. The most powerful models. half-shell or full-shell. visible in the ear itself. easier to handle for people who face dexterity challenges. newest style on the market. Perfect for many first-time hearing aid wearers. custom-made or standard. For mild to severe hearing loss. Easy to adjust. Discreet design.